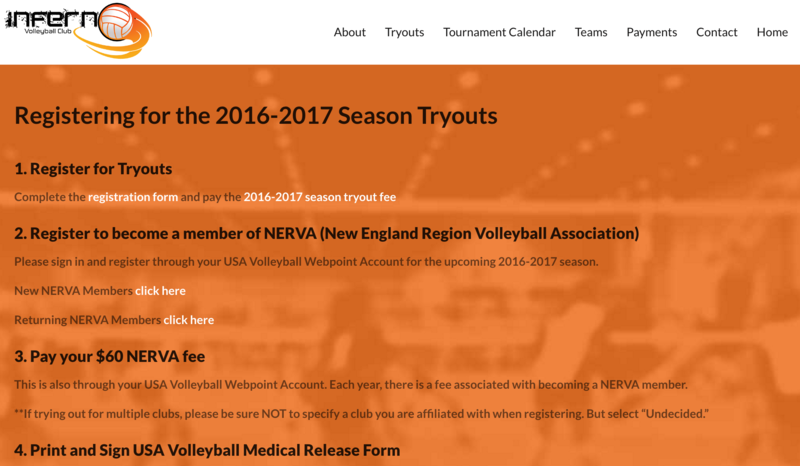 Inferno Volleyball Club is a travel volleyball team locally out of Hamden, CT. The Inferno Volleyball Club’s mission is to inspire players to develop their individual volleyball skills while also building a skill set they can use off the court. 3PRIME worked with the Inferno Volleyball Club to build a custom site for this brand upon which they can expand their digital marketing strategy. In order to create a website that highlighted the Inferno Volleyball Club, 3PRIME worked closely with them throughout the design and creation of the new website. 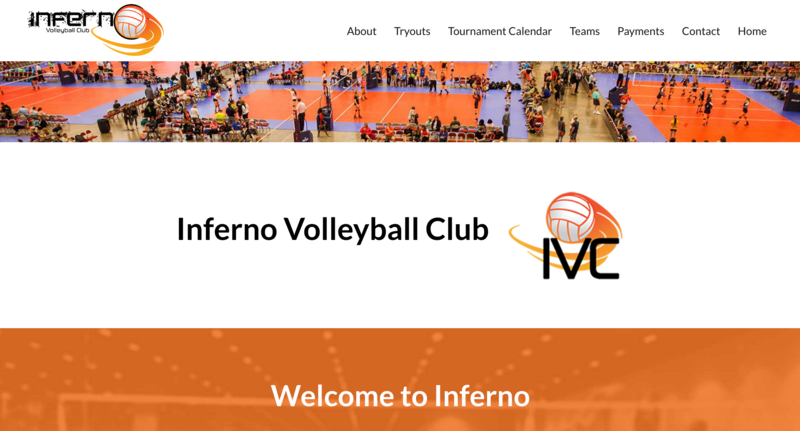 The combination of knowledge and experience and the collaborative effort were instrumental in creating a brand new, user-friendly site for the Inferno Volleyball Club. Using a premium WordPress theme 3PRIME designed and built a new website from the ground up. Focused on user experience as well as SEO best practices, the site is a reflection of Inferno Volleyball Club. The mobile experience is accounted for in all 3PRIME web designs and the Inferno Volleyball Club site was built using a responsive platform. 3PRIME loves working with local Connecticut businesses and schools. As a small business we are dedicated to working with companies to deliver the best web service and digital marketing in our local community. 3PRIME is hosting the Inferno Volleyball Club website. 3PRIME knows how important it is to have someone you can trust and turn to for advice and troubleshooting when necessary. Hosting the site allows 3PRIME and Inferno Volleyball Club to continue working together and collaborate on any issues, changes or problems that arise.